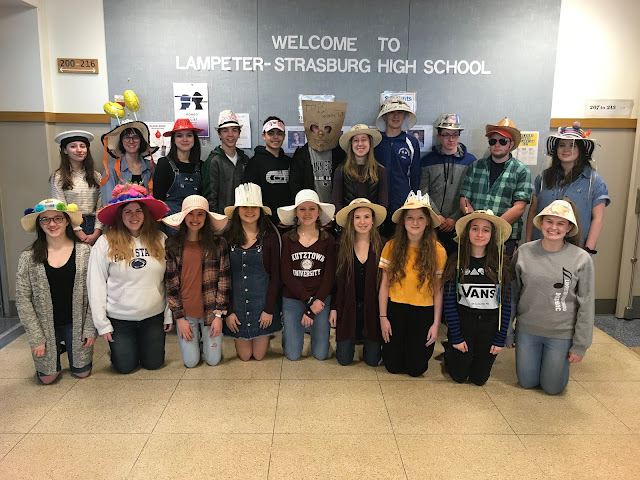 Less than two decades ago, the agriculture department at Lampeter-Strasburg High School consisted of three male teachers. Today, its two women—Mrs. Holly Oberholtzer and rookie teacher Mrs. Janae McMichael—that run the department. McMichael replaces 40 year agriculture education veteran Mr. Steve Smith who retired in June. But just because McMichael is a first year teacher don't think she is new to the field of agriculture. McMichael grew up on a functioning, generational dairy farm where her family still raises broiler chickens and 150 acres of crops. McMichael says that her passion for agriculture was discovered early on. She first became involved in 4-H and then later in high school became active in the Garden Spot FFA, the L-S chapter of the organization. That's right! McMichael is a proud L-S graduate. Many will remember her though by her maiden name, Janae Herr. Over time McMichael's "passion for agriculture" turned into a “passion for the future of agriculture.” So upon graduation McMichael pursued a degree in Agricultural Education and a minor in Agribusiness Management at Penn State University. In our modern technological society, it is easy to wonder why agriculture education would be important. McMichael has a simple but powerful answer. “Everybody eats,” she says. In addition, “the FFA is an excellent avenue to develop educated consumers for the most critical industry in the world, the one that fuels, clothes, and feeds us—agriculture,” says McMichael. With that in mind, McMichael foresees that the agriculture department will help students discover “the immense amount of leadership opportunities,” provide career opportunities, and that both her and Oberholtzer will successfully integrate technology into their programs. Overall, McMichael hopes to “help students to uncover their potential to be influential leaders in their school and community”.